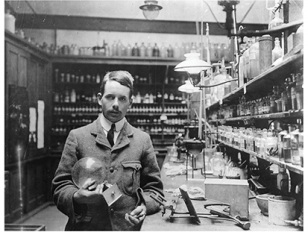 Henry Gwyn Jeffreys Moseley (1887-1915) was one of the foremost English physicists of the early twentieth century. Probably best remembered for his immense contributions to chemistry and atomic physics in the years immediately prior to the outbreak of World War One, there is little doubt that Moseley would have been nominated for election to the Royal Society if he had survived the war. Moseley’s pre-war contributions to physics and chemistry are well-known and well-documented. Elizabeth Bruton is a postdoctoral researcher at the University of Leeds.